Patel recently launched a new product called ‘QuickSprout University‘ where he supposedly teaches people (who can’t afford his consulting services) how to gain tons of traffic and followers on your website. I have been a fan of his blog posts and respected him as an entrepreneur for many years now, so I jumped at the chance to purchase the product and have a look at the training. which helped ‘TechCrunch increase their traffic by 30% in 60 days’. Holy Smokes what a Disappointment! The moment that I purchased the product and entered the ‘University’, I knew it was going to be a huge mistake because Neil Patel who I was anticipating being the teacher was NOWHERE TO BE FOUND. None of the videos were taught by Patel, they are all taught by someone named Brian Dean who I have never heard of. Classic bait and switch from the sales page. But more on that later..
All of the videos are easy to follow and well produced with a fun animated title intro. But that is about it, most of the videos are no longer than 5 minutes in length. I was expecting more written content and webinar announcement as the sales page promises. That is all you get! Nothing else except the videos – total bummer. I like to enter a membership website with some form of direction and a warm fuzzy welcome from the product owner… and nothing like that here. Who is QuickSprout University For? 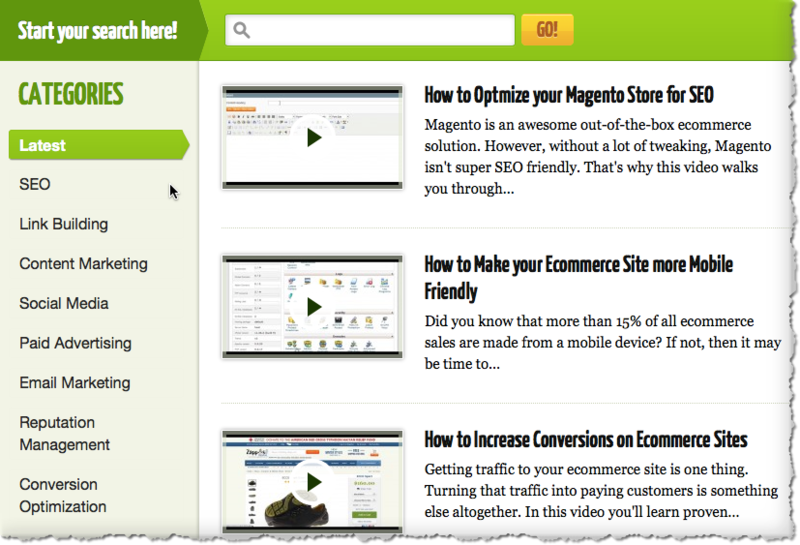 As the sales page mentions, QuickSprout University is for content marketers, start-ups, small businesses and bloggers. But really, it is anyone who has a website that wants to gain traffic and more sales. Based on the simplicity of the videos, my thoughts are that they are catering toward the beginner who has a website and wants to learn the basics on obtaining more website traffic. But I wouldn’t recommend this University to my worst enemy because it is such a rip off. The only ‘Pro’ that I could come up with is that the website and typography is very pretty. Does QuickSprout University Offer any Support? I scoured the entire site and was not able to find any type of support other than a forum which has no paid members section. Compared to Wealthy Affiliate, the QuickSprout University has left me feeling like a college drop-out with no help whatsoever. I am VERY surprised to see this type of low quality scam with no support from Neil Patel as he has always produced some wonderful blog posts. This now makes me question his entire business model. I mean, does he provide this low level support to his top shelf clients like Wal-Mart? Neil.. I am breaking up with you. Please take your blog posts and lack luster products and leave me alone. I am extremely disappointed and have the feeling of being scammed by someone who I used to look up to and respect. The QuickSprout University is a total waste of money and is not recommended for anyone. The lack of promised training and no offered support from Neil Patel is not worth anything and is going to put Patel’s reputation in the trash because of this. I invite Neil Patel to defend this product and let us know if there are plans to improve the University. Do not purchase the QuickSprout University because it is a complete and utter scam. What are your thoughts? Have you ever purchased any of Neil Patel’s products in the past or enjoy his blog posts? Let me know if the comments below. UPDATE: I ended up emailing Neil by guessing his email address requesting a refund and he did refund me the next day. What is Better Than Quicksprout University? the website and typography is very pretty. Neil Patel is nowhere to be found! He doesn't teach any of the courses. Thanks for the heads up on this Jay. Always disappointing to see what appears to be just another scam. If only these people would realise that unless they added real value to something then it is bound to end up a failure. I too was always pleased to see Neil Patel’s posts. What a disappointment. I have not heard of Neil Patel before, but I have read a few emails from Brian Dean and he seems like an upfront guy. He has given away quite a lot of credible information on SEO and link building in his emails. As for the Quicksprout University, its the first time I am hearing about it. I’m not familiar with Neil but I would have thought with his reputation the product would have been better. There goes those trust symbols going to work on unsuspecting victims. Thanks for the review and letting us know it’s not worth the money. With due respect to Mr Ryan, Let us not get gullible about somebody’s view and come to conclusion about the goodness of the review. Thanks for Splashing the Cash, so I don’t have to! Good to know that there is a really good alternative to these scams that just try to get people’s money for very little… or No value! Hadn’t heard of Neil Patel until now and so will steer clear of anything that he is putting out in future! What or Who is CrazyEgg? Neil Patel? Looks like maybe they should call it DeadSprout University, as from your description there is really no life in it! As usual it seems that the almighty dollar has won out. It’s surprising that a person with a great business would become involved with this type of scam. thanks for the review. I’ve heard of Neil Patel and actually thought his blog posts to be quite helpful. I did hear about the QuickSprouts University, but didn’t buy it since I wasn’t too sure about it. Plus, I didn’t want to pay that much for something without “test driving” it. I’m glad I didn’t bother after reading this. It’s very disappointing to hear and makes me wonder if I would ever trust him again. Thanks for the review! Like Mark, I’m also subscribed to Neil’s blog posts and I’m surprised his QuickSprout University course isn’t on par with his other helpful offerings. Thanks for taking the plunge and saving the rest of us a lot of time and grief. So I searched Google for Traffic U reviews. Just a bunch of garbage for traffic school / driving instructions. So I tried “traffic u” in quotes, still not much. Then I changed U to University. Bingo. found your page in the results listing, Saw the word scam in the results preview, and click to go to your website. I was impressed that this was a very recent review. SO I feel I can trust you. Another thing, you may want to add the phrase “Traffic U” to your page keywords, etc so other searchers can find you faster…. I previously was interested in Neil’s stuff, so I had previously wasted about an hour going thru certain torrents and downloading Quick Traffic Pro system, but after it was all done, I watched a few of the “chat” videos (the split screen where you watch 2 people boringly chat about how great their business is) and I felt really glad I didn’t waste my money on that product. But just the other day I saw his free blog post about “The Complete Guide to Understanding Consumer Psychology” and started reading chapter 1, and quickly came to the conclusion that this was for newborn babies who have never took a minute to think with their own minds about how to write a blog post. It was just way to basic and common sense (unfortunately something that is NOT too common…) and I’m pretty sure most of it was written by Ritika Puri and Neil stamped his name on it for “Star” power. The unfortunate thing about this is even if you did buy the subscription to his website, (which I’m sure many people will because the entire content marketing thing is confusing for most people so they think they need a ‘guru’ to show them what to do) it won’t do you any good until you start writing your own content, and that is the hurdle most people have, they don’t get started, and therefore they don’t get any practice and no results / no traffic. Look at me, I just whipped out this super long comment in about 10 minutes because I was very passionate about this subject, and I could turn this into a blog post. If Neil Patel was really interested in helping people, he would develop a step-by-step course in copywriting, not just provide a bunch of content to read or videos to watch. It would take work, but it would be worth the price. I am a fan of Neil though, I think his blog is richer than his school LOL! Interesting post. The University was placed on a “fire-sale” today and is basically <$100 lifetime access…probably because of all the actual purchasers complaining. It’s a shame because Neil is very talented and if actually created these videos himself, they would be really helpful. From what I see he spends the majority of his day answering emails and partying at clubs.  I too am a big follower of Neil Patel and love his blogs he gives away loads of information for free so on the basis of if this is free his paid teaching must be awesome. I bought the lifetime for $97 and as mentioned above I was expecting a course on how to increase your traffic but all I found was a bunch of videos. I would have loved a timeline or a follow me plan linking to the video when you got to the relevant subject, I think this is a big mistake on Neils part and a missed opportunity to make the ultimate traffic plan. Don’t get me wrong if you can work out a plan yourself his videos are excellent and very informative and I don’t think it matter that Neil is not on the video as the content is really good. We just need a plan adding and we will have the perfect training. To summarize the training is great but without structure and a plan is a bit like trying to build something without instructions, it can be done but takes so much longer. I was about to purchase this course until I read this review, thanks for the heads up! It’s funny you mention Brian Dean instructs all the videos. I actually really like Brian and have used many of his strategies for link building. I didn’t know he was an expert at all the rest though, I find it odd he teaches the other videos. In fact I purchased one of his paid courses before from Backlinko, and even in his own videos, for subjects like on-page seo he has someone else do the video because he says himself he is not an expert at it. So that’s disappointing if he is the instructor for all of the videos in QuickSprout U. BUT at the same time, don’t let that take away from his link-building expertise. IF you haven’t heard of him, you should definitely check out his stuff for that. He’s really good. Hey Rick – thanks for your thoughts. Regardless if Brian Dean is good or not good at whatever he does.. the important thing to remember is that you are expecting to be taught by Neil Patel inside this Quicksprout training. i was just planning to buy access to their university but after reading your post i have changed my mind i hope neil patel read this post people are buying because of “neil patel” because he is one whom people trust and if he is not there it’s feel like being cheated. Ironically, I got an email this morning with his latest post titled “Is It Worth Responding to Blog Comments?. It was supposed to be pros and cons (but there were no cons that I could see from a quick read). I know that this isn’t Neil’s blog, but I assume someone like Neil is monitoring the web for any mention of him or any of his associated brands. One would think he would be aware of this conversation – and want to do something about it – ie respond to the criticisms. I am pretty sure he is aware of this post because there was forum thread posted inside the Quicksprout forum that talked about this review and was quickly deleted. I found out about this link because it showed up in my Google Webmaster Tools backlink listings. Let’s create a product that we can sell to others, put my name on it…but I will be nowhere to be found within the product and don’t expect any help or support from me. Sound familiar? Well that is exactly what this product has done. Respect for his prior content authoring or not, this is the sort of thing that gives the industry a bad name. Low grade training followed with limited communication and a site that is branded with someones’s name (Neil Patel), but isn’t backed by the very same individual inside the back-end (and doesn’t delivered the promised resources). It makes me reconsider my perception of CrazyEgg and the other associated products that Mr. Patel is involved with. This was a very revealing look into QuickSprout I think that those that are looking at QuickSprout offering are definitely going to have a much easier decision to make. It’s always an uphill battle for the industry and it’s always our job to clean up the mess. That being said – does it make our job easier or harder? I too wonder about the legitimacy of CrazyEgg as it seems like several ‘high end’ websites use the product and recommend it. Hi Jay, I’m so disappointed. I have been following Neil’s website for some time now as the information he posts from Quicksprout is very insightful. Its a pity that he has gone down this path of putting out dubious material that he has put his name too although from the sounds of it has not constructed it personally. Thanks for this great review Jay. I’ve been getting one to two emails a day from Neil but have just been saving them for later. Reckon I’ll just delete that folder now! Ya’ saved me a lot of time… thanks again Jay! Thanks for voicing out; i know him, i have been following him, he tried to sell me stuffs, i did not buy from him because i never trusted him to be a genuine guy; its nice to know that i was not wrong. Thanks for sharing. I got hooked in after reading his bio. Also got a lifetime access for 97 dollars. Found the website really prettyas you said, but thats about it. Worst part is even if your logged in, there are about 100 redirects to his “pro subscribtion” page. Not a single instruction of where to start or how to proceed. Havent even watched a video cause im so confused, mostly read the blog posts, for which I doubt I needed the subscription. “Niel” mails me everyday with different content. I shot ‘”him” a mail calling his bluff. Got a response saying “sorry, I should organize my content better, I have refunded your payment. You can also keep the lifetime membership”. Replied telling who ever it is that if a layman like me can catch the scam, its only time the real Neil loses all face. He probably doesnt care in anycase. Sent this link as well and asked the who ever it was to forward it to the real Niel. Was so proud of him sinde im Indian too. Feel like an idiot now. Time to get baked, eat some curry and sing wrecking ball. Thoroughly enjoyed the comments. Stay hungry, stay foolish! Great post, and straight to the point. Its a shame that he even agreed to put his name behind such a faulty service. SMH twice! Anyone looking to increase traffic to a website can find plenty of free tutorials all over the internet. And secondly, the best way to learn how to increase your traffic, is to load your site up with quality content and learn the ropes. Phew. Close one. Thanks for testing the waters, Jay. You know, I like Neil Patel’s posts on his blog. Really informative with loads of good content. I tend to overlook the come-ons, the annoying pop-ups and the “I’m a kind of a big big deal” boasting for the great posts. I was looking for startup marketing edu so I’m glad I didn’t bite. Disappointing for sure. Whew! I was tempted (by the lifetime offer also) but previous experiences made me cautious. Thanks for the review, I’ll steer clear. I wasn’t even cautious at all.. jumped in with both feet and yikes what a bait and switch. I should mention that he did provide me a full refund. And….I’m still getting the “Wait, there’s only x more hours to save” emails…. That is sad to hear but I guess he feels he has had enough success and now it is time to set back and profit off the coat tails of it. Still don’t make it right though . If you are expecting to see Neil Patel in any of the videos within the QuickSprout university, the you will be disappointed like I was. He is nowhere within the videos. I urge you to reconsider your thoughts on joining it. QuickSprout University was free, totally free (I had watched almost all videos). Now it is combined/bundled with his paid PRO program which includes and a free consulting session. hmm, I see the PRO checkout page has been changed, it seems a different program/product that is focused on University… I remembered the old product page with his bonus free telephone consulting etc. Anyway, Neil is a top marketer and have learned lots of thing from his blog and free ebooks. I do not know if the current product is worth the money. People are discussing this on Quicksprout, including Neil. Commenters there say they are writing positive comments about his course here, and they are not getting posted. Sounds like you didn’t like the course, but that doesn’t make it a “scam.” There is a money-back guarantee. I don’t care who “stars” in the videos, it’s who worked on the content that matters. Perhaps Neil has an accent or encounters racism when he presents content. Neil Patel deletes negative comments on his QuickSprout site, but the fact that your post is here is evidence that positive comments about Neil Patel are not being deleted here. Neil is now selling something called “Advanced Customer Acquisition” which is probably just the same 45 videos he was selling as QuickSprout University repackaged and rebranded to avoid “scam” warnings like this one. He claims to be putting on a live webinar, which “will not be recorded, so you’ll want to attend live,” but that’s a complete lie. The “live” webinar is already recorded, and the “web funnel” that takes you to it schedules the recording to run every half hour if somebody wants to watch it. It’s designed to be deceptive, by having the attendee’s comments added to the canned chat stream, and I have no doubt that all the comments in the chat stream that aren’t your own were written by Neil Patel himself. As far as I’m concerned, the man has no integrity. My email to his “private email address (neil@neilpatel.com) was ignored, and my comment on QuickSprout complaining about this deceptive practice was deleted a few hours later. I can TOTALLY attest to this being true. In the current offering (which I was actually about to purchase moments before I had second thoughts and decided to do a little MORE research), there are 45 videos, and it sounds like Neil is teaching. His webinar was an evergreen webinar that looked real. If I weren’t a copywriter who works with an 8-figure business owner, I might not know. I chose my time to attend the webinar, and it TOTALLY wasn’t live. It was approximately 17 minutes after I booked it. And it lasted for what felt like forever. It’s now called the Advanced Marketing Program. I give up on these gurus. They all lie. Very helpful comment. You can’t have a course that you are selling and then not teach it. You can’t say you are doing a live recording and then it not be live. Its unlikely the recording is live because it was so smooth. No one can speak for that amount of time off the cuff without any hitches in their speech. Interesting review, thanks – the site is very good at selling the course though, admittedly! Thanks for writing the real truth about Quicksprout University. Very few people write true review of products and you are one of them. Jay, thank you for this review. I do like Neil Patel’s blog and was considering joining because I thought the training would be from him. I am happy now I did not. Keep up the good work you are doing here. I don’t find his stuff attractive at all. In fact his suggestions always lean towards “beg big websites for backlinks”. His other stuffs are way too basic. He says that he has the ability to attract thousands of visitors to his sites in just a week and all. If that is the case, why is he advertising quicksprout through adsense? Couldn’t he use his “super” seo on that site? EXACTLY! He mentioned not needing paid ads, but I found his most recent webinar through a paid ad. LOL!! There is another question. If Neil can do what he says, why is he bothering selling a course? How much money does he actually need. Is he addicted to heroin? This is what bother me about Donald Trump. He is worth 4 billion, but then he fleeces people on Learning Annex courses. Because maybe he is not making that much money. Anyone can claim to earn one million dollars, unless you are his accountant, there is no proof. Glad I came across this post. I don’t have a lot of money to invest so every little spent on knowledge is very important to me. If the man doesn’t teach his own course, then this is really not worth it. Thank you for sharing this review. I am disappointed, the presentation and sales page was well thought of. Can you please let me know if there is any other way to apply for a refund? I have emailed Neil asking for a full 100% refund under 30 day money guarantee but still awaiting a reply from his end. Should I cancel my subscription? There is no information in the website that explains the process of how to get the entire refund back. It would be great if you can let me know how did you get your entire refund back? Thanks in advance. I just got some great tips from one of his blogs. I almost paid for it. Thanks. I think I am the only one who thinks the product is decent. It doesn’t bother me Neil isn’t in any of the videos, that thought has never crossed my mind. I don’t think he would put his name on something that is not up to his standards. I think it is money well spend. Thanks to the videos I learned of Brian Dean who runs a site full of valuable information… I see your point, but going through almost all the videos, I think it is worth 97USD. First of all I would like to tell everyone is that those who aren’t satisfied with the training programe should’ve contacted me within 30 days. Also the videos which are produced by Brian Dean are totally under my control (My Ideas) and all. The reason why I am not showing up in the video because of my accent. Anyways, I would to know more about it so I can improve as much as possible. I am concerned about what people think of me and my brand. So let me just take care of it by replying to each and everyone here at my email. This excuse is some old bull****. You have almost no discernable accent, and in fact I can barely tell you did not grow up in the US. No one listening to you speak is going to buy this. You did not want to take the time to do it yourself, but you need to state this in the video. You are clearly a very smart guy, but you need a serious course in ethics. Maybe you can find one of those online. Have a great year man! I think it’s pretty one sided review. And I feel really bad about people who just read this article and made mind about not buying this. As for the length of the videos i liked the way they are pretty straight forward and to-the-point. Rather than 20 minutes of blah blah. Hey Neil You are doing awesome stuff. keep the good work coming. Love your free offering of MBA. Its really awesome. I do not follow your blog post though but I read few of them and then I read guides, And the Technics mentioned in post were already there in guides. So reading guides is more convenient as everything is at one place. Keep more guides coming. Hater’s gonna hate Bro. Don’t worry and keep the good work. I bought the University for $97. It’s not the greatest, but there is a lot of useful information there. I have gotten so much from Neil for free, that I don’t mind giving some back. I have made over $100,000 using a lot of his techniques and ideas. Neil Patel is a highly successful and respected entrepreneur. Well-known companies everywhere use his flagship products religiously (KISSMetrics, CrazyEgg). To label QuickSprout University a scam is flat out irresponsible. Not that he cares what you or I think, considering QS is a side-project with yearly revenues rumored to be in the $1M range. I happen to be a fan of Wealthy Affiliate. But this practice of writing reviews (often negative ones) to advance your own affiliate marketing agenda is very predictable and frankly unfair and reckless at times. QuickSprout University videos offer great value even though they are “thin.” But let’s face it, this is a standard internet business model. Give your audience free value. If they want or need more (which is the point), that’s your opportunity to monetize. It’s the exact same thing WA does by offering their free membership, isn’t it? I’ve gone through it myself and it’s great. But the real goods can only be had if you go premium (which, again, is the point). I agree that if you need more hand-holding, you may need to look elsewhere. And WA might be a great fit —assuming your interest is affiliate marketing focused. But let’s slow down on labeling Patel as a scammer. That’s just a bit too strong, IMHO. You again? I see you’re copying and pasting your comments everywhere Camilo. I totally agree with Camilo. Most of these guys promoting Wealthy Affiliate just make me sick to my stomach the way they go about promoting it. First they write a totally negative review (99% of the time) and the swoop in with their “heroic rescue” #1 recommended program….You guessed right, Wealthy Affiliates. I do hv an account there. In the first 24hours of getting my “free account”, i was badged with emails to upgrade to premium inorder to get the really good stuff. Why cant you guys just promote the program without trying to bash otheres first. Thats the no 1 reason i chose not to upgrade co i figured i would have to write and rank all sorts of bash reviews to sell and get paid. Thats BS!!! Thanks for your thoughts Omezikam. This review (like my others) are based on my personal experience using them. And yes, I do compare them to wealthy affiliate because I want people to make a sound choice when it comes to learning affiliate marketing. but actually I was wondering what kind of CMS that you using on this site? this post just SCREAMS affiliate-marketing. I appreciate your thought how you’re not judging me. The poor review of Quicksprout is based on a negative experience that I had when I purchased the program. I was led to believe that the training was going to be conducted by Neil Patel, but was in fact taught by someone else. There was nowhere within the sales page that mentioned this. As a result of this, I want to steer people in the right direction of quality training located at Wealthy Affiliate. * Am I inside Wealthy Affiliate helping the people who have joined from me? YES! I understand that Mr. Patel has a huge following and I have certainly upset most people because of this review, but at the end of the day I was tricked into thinking that I was purchasing a product taught by Neil Patel. And I want to prevent others from doing the same mistake. I read through all comments until I came to this post. You see Jay everything you say about the Quicksprout may be 100% true as also your comparison with Wealthy Affiliate. But the moment you stated that you are an affiliate of Wealthy Affiliate and that you make money off it, you lost credibility in my eyes because there will always be a feeling in me that you are biased to start with and your bias extended to the comparison of Wealthy affiliate. Both you and Neil Patel are scammers. Bloody Internet fellas! Brian Dean is rather famous, his website is backlinko.com. Most of the blog post he make is about linkbuilding and getting higher rank in Google. Rather shocked that you never heard his name. The scam is exposed. First thought it can work out. Alas! Hi.. I don’t know about the Quicksprout programme you people are talking about here as I have not taken it. But I would like to share my experience with Neil. I was looking for SEO and Marketing for my venture online when I came across him. I approached him and he said he cannot take the project as he is pre occupied but referred me to another company. I worked with the company for almost 7 months , invested around $4800 but unfortunately that company was completely useless. Forget about SEO they could not even put a right ad on my facebook page. Disappointed I re approached Neil and told him the entire situation and requested him to intervene. But despite his intervention and 2 more months the company did nothing and refused to even make some refund. On this Neil intervened and refunded every penny. The entire $4800 was refunded back to my paypal account. Guys I dont know how good or bad Quicksprout programme is but I can guarantee its not a scam if its associated with Neil. Maybe you can give him feedbacks so he can improve but whatever it is he is definitely not a cheater. See, I totally disagree with everything you have written here. seriously, Neil is a reputable internet Pro who have been helping and touching many lives on the Cyber ville. Please be very sure before you write bad about someone next time. Don’t just do this for the sake of content generation because its really very bad. I’ve never met Neil in person before but i so much trust his reputation. Please be well guided Jay. It’s disheartening to read this. I purchased Neil Patel’s 2016 Advanced Marketing Program for $997. Same deal. It’s not taught by Neil (although he may make an appearance late in the course). I’ll never know because I was so turned off by the fact that he does not actually present the bulk of the material that I canceled straight away. Instead, his deep knowledge is presented in a scripted video by his staff “product expert” in a long series of short, thin videos. Sorry, that approach just doesn’t have any credibility. The program is released over an entire year, so it’s not possible to evaluate the quality of the entire program, nor jump ahead before the 30-day refund period ends. I purchased the same course. Neil doesn’t teach it, but does go through an intro. There’s a private FB group that’s pretty active, and there’s a lot of good advice on there. Neil is active in the FB group as well as his employees, and they’ve given good advice so far. It’s all pretty basic to me right now, but I don’t think I’m the target audience and have more experience than most. But there are also some good things I didn’t think about before. I think they took a lot of the comments here to heart, there are printable materials with exercises to take you through individual steps along the way, and I can see the logic behind the course. All very good building blocks that goes from understanding your company, doing competitive research, developing offers, etc. There is opportunity to get applicable advice from the general information in the training materials in the FB group. Responses are fast and good. To me, I see it as ongoing my professional education in marketing, I’m going to write it off as that on my taxes as such. We’ll see at the end of the year, but I think it has value for $997, and most people who are looking at these type of courses would likely benefit from it. Thanks for sharing your story. It’s a real drag that this happened to you also. I certainly hope that this article has reached Neil to the point where he changes his strategy when it comes to offering products. Thanks for this Jay, I’ve fallen for the shiny object syndrome one to many times and I hope this helps a lot of people out along the way who have suffered that same fate. Now a days anytime I visit a webinar I find myself saying “Here Comes The Pitch” and sure enough it’s always there. I get it, we’re marketers and our job is to make money through those channels but far to many marketers out there are more concerned about making a buck then providing a course or content that goes the extra mile. You may want to re-correct the founders as Kyle and Carson, JudeP is #3 and Jay is the top 50 premium members who is one of the mentors who coaches on webinars and really put in his effort to do a training webinar weekly. Oops! my mistake, Jay is the founder here in Affiliate Resources. Kyle and Carson is for Wealthy Affiliates, My apology for the mistake. too much website with affiliate word … sorry Jay. please delete my comment. Thanks. Its not Scam, its a bit dated and I agree not in-depth in just some cases. I agree theres no NP in entire training but BD does a very good job. It is sad to see a Brian Dean putting in all the efforts while Neil Patel just comes in, stamps his name on it and walks away with accolades. Besides, he (Neil Patel) doesn’t even have a single appearance in this course clearly shows all he wants to do is make money at the cost of fooling people into buying his course/programs. He doesn’t even come up with his own ideas for posts (I read an AMA he did with an online marketing site where he mentioned it). He outsources writing for his blog. There are other stuff too which I presumed he did on his own until he said he didn’t (again referring to AMA). Well, if just having knowledge is sufficient to be called a guru then there are lots of them out there. But then I guess I shouldn’t be expecting too much given his tagline “I’m kind of a big deal”. Enough said. I respect Brian Dean very much but can’t say the same about Mr.Patel and I think the former is wasting his time with so called guru. Thanks for the useful information! I cannot understand why he would do such a thing. All of these comments are a SCAM. They are artificially created to look legitimate. If you are referring to the dates of the comments, there is a valid reason for this. I recently merged this site from a Joomla site to WordPress and manually imported the comments from the Joomla system into here and they unfortunately did not carry over. It was so clearly obvious to me that something was off… first I signup for the webinar and surprise, it’s in 10 minutes… then I was the only one being asked questions by the live rep. Finally, when Q/A comes, I figure… OK, let’s see how real this is (as I see ding, this person bought, ding, another person bought). I asked my questions and just as I expected “they couldn’t take it and I was told to e-mail my question. The webinar is 100% setup from participants to questions asked and answered. As a marketer, it is exactly how I don’t want my clients to think and their example is not one I would recommend any business (large or small) follow. Thanks for your review, I think it’s critical to save people money. Neil Patel has an accent that impedes his ability to make video courses? .What accent exactly is that? His American is too thick? I can’t believe the real Neil showed up here to lay that goofy egg. If you read his life story (that he promoted for years), His was the story of frustration — selling vacuum cleaners door to door, sturggling to make a buck.. You got he was absolutely determined to be a great salesman, entrepreneur … and be rich. He probably has accomplished a lot of that (he event blogged about his Vegas high rise and real estate buying advice), and he also appears to be the fastest blog writer in the world, assuming he actually writes and produces those 2000-3000 posts practically every day, plus the daily emails, the webinars, the consulting, the two companies, the conference keynotes, and, yes, a lot of videos. So whoops, either a lie or Neil is just trolling this thread. I chortled when I read his lament about his speech impediment. Neil, you are so ready for stand up. BTW, save you some green. Want to know one of the true secrets to internet marekting? Neil reveals how he got all that traffic early on that put him on the map: To wit: Throw money at the problem. IOW, until Neil wrote checks for thousands of dollars to other bloggers to have them backlink his also-ran posts, he was another nobody looking for traction going nowhere fast. If you have good content and $40,000-$50,000, yah, skip the conference circuit. Drop the courses. Stop reading e-books. Stop hiring rocket scientists to reverse engineer Google search algorithms. And get off those email lists. Do what Neil did. Bulldoze your way to the top with money.. Call it smart. Call it scammy. Organic search just won’t get you there. The mommy bloggers who act so pure and protected know this well. They sell their souls to promote tampons they’d never use. It’s pay for play to get any traction, Neil knows the game well. Was the course $97? And you’re pissed? And you call this a scam? A scam is spending $10k and not ever seeing the scammed again. Since you got your money back, you can’t call this a scam. Are you telling me that there isn’t one single principle or tactic in those videos someone couldn’t apply to their business, beginner or not that they could earn $97 and get 100% ROI on their investment. I know companies that spend $5m as in five million bucks on websites that never see the light of day. You need to delete this post. Spend time warning unsuspecting marketers of real scams, dude. Thanks for your thoughts and have no intention of deleting this post. A scam is considered a dishonest scheme and that (in my opinion) is what happened here. I was promise course material from Neil Patel and got it from someone else. I don’t think there is a set limit of money to classify something as a scam. It doesn’t matter if it’s $1 or $1MM – if one has been swindled, it’s a scam. Hey Jay, thanks for posting this up. I think he has started trying to rebrand himself. I know that he’s created the Marketing School with Neil Patel podcast and often listen to it. I was about to purchase this one but I’m glad I didn’t because I wanted to actually hear it from Neil. I can’t stand it when prominent names do this. Thanks again! Phew! You’ve saved me $997 – I too got that last-minute ad then the seminar started. Neil is charismatic and for someone who talked solidly for 1.5hrs, how the heck was his accent a problem??? Btw – wasn’t be born in England….like as in where the English language comes from? If it looks too good to be true…it probably isn’t. Unfortunately I got scammed by this guy. What a waste it was!! The videos are utter useless. He claims he updates the videos but failed to do so. The stuff his partner Brian dean teaches is all available for free. But you know what, he is not the only scammer alive, there is Tai Lopez, Sam Ovens and many more. Watch out guys!! Don’t fall for this crap. Best way to learn is read books, good blog posts and from other successful people. The best advice usually comes free from someone you already know. Thanks for the heads up about this program, I have as well read a lot of Neil Patel’s work and am quite disappointed to hear this review. I still use his site quicksprout.com for a good source of research, I did hear about his university but didn’t go any further cause most of it was simply a promotion just to sign up. i have just been cut from NEIL PATEL webinar.Guess what. he is a very good speaker…has good material and persuasion skills. My friend was on this webinar as well.and when she was over,we went onto his site just to look around what he has got there. Once we landed on his site,the message poped out saying about webinar is about to start in 5 min.so we both together decided to reserve a place.why not. we were shocked.Why? Because the same comment came out complimenting NEil…meaning somebody from his team or even himself was writing them.So many coming out more and more.my friend pulled out a screenshots that she has made….shocking…when i sent a message about this-they cut us off. WOW. He is building his empire on LIES. Not exactly the way it should go. And how smart he is-he started emotionally-about them being sooooo poor,wearing his sister clothes etc and the BOOOM, he found out strategies, build successful businesses.Can he prove he worked for amazan,google etc? can he prove all the traffic he talked about. I really doubt. I nearly was going to buy this course,but as its so expensive,i tough i check him out…i have no trust now.yes he is smart,he is good speaker and has persuasion skill and know how to trigger emotions. Don;t buy these expensive programs…there is nothing magic, there is soooo many FREE courses and stuff. Don’t trust strangers…don;t waste you money. plenty stuff on youtube and other sources. Thank you very much for your feedback and comment, I had to remove your suggested URL as was a mention of ‘register’ within it. Hi, let me start of by saying that I respect Neil as marketer. He is a smart guy and he gives a lot of good solid advice. Yesterday i attended that same webinar( was pretty good) and got the slides in my email today. Not sure if i am the only one, but when he shows how he increased the traffic to his own website, have you noticed that his bounce rate is in the high 70’s?! . That shows me that the traffic he gets are from people who arent interested in what he has to offer at all! I rather work with a consultant that grows my traffic by 10% with qualified traffic then someone who doubles my traffic which is worth nothing…unless you are an ad serving publisher. Moral of this story, he is only trying to sell HIMSELF, look closer and question everything. Wow… Crazy. Neil Patel really is a lyer. I’ve been doing SEO for about 15 years now. I have read some of Patel’s stuff on QuickSprout in the past. But truth be told if you follow most of the SEO thought leaders out there as well as the guys at Google who work in search via the hangouts or at events, then you really don’t need to spend any money on this stuff Patel is peddling. He gets his SEO info just like the rest of us-via testing and researching. I honestly don’t know, nor have I ever met any legit SEO associates I’ve met at conferences or at the fortune 500 companies I’ve worked for doing SEO who think he is any more savvy than the rest of us SEOs. So I think his business model is the typical Multi-level marketing system which is to pray on the newbies and take your money. He makes a lot of claims that are tongue in cheek at times if you ask me. Some of his tactics are questionable and laughable. For those of you who are bashing Neil. You have every reason to do so if his product is not up to standard. Let me caution you. 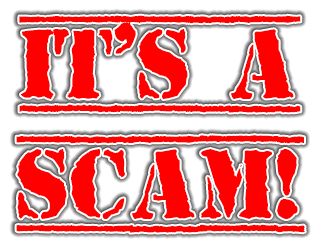 Today, the word scam is throwing around by anyone. I read apple, one of the most successful companies, is a scam by some reviewers.. Apple has 1 Star in consumeraffairs.com because some people are angry at Apple. However, I sense people missed the whole point. Listen carefully to what Neil has to say. Yes, some of them sounds like common sense but they are valuable information to put into your tool box. Disregard what doesn’t work for you.. Become a detective or scientist. I also have bad news for all negative people, whether you are a fan of Tony Robins or Jeff Walker, Jim Rohn or Neil Patel, nothing they teach is foreign that you can’t find online. I majored in marketing and spent 4 years learning about marketing. But they don’t teach that stuff in school. I wish a professor would’ve taught me marketing. Neil Patel gives information that can make you successful beyond your wildest dream if you take the time, the dedication to apply some of his principles in your business for 3 years straight. I owned an SEO business for the past 6 years, and I worked with people who made over $8 million in profits just in SEO alone every year. But they told me they borrow some of their principles from Neil Patel. I wish I had read this review before paying $97 for “lifetime access” to his latest course, with a “30 day money back guarantee,” only to be led to another page asking me to pay more for an “all access pass,” no instructions regarding how to get this lifetime access, etc. (I knew that I needed lifetime access because I wasn’t ‘available the date and time the course was offered, so this was a key component.) When I immediately sent a complaint, they sent an apology, but still no instructions. Today I asked for a refund, but I’m not holding my breath. Don’t waste your time or money! Really sorry to hear about that! I got my refund by emailing neil@neilpatel.com and was able to get my money back within a day. Glad that you reviewed the course as I was thinking to enter his university. Also, this is the first time I am seeing something negative about Neil. There is no second thought that he is an excellent guy, business person and moreover a blogger. But looking at the comments, it seems much values have not been put into videos. Today 7/25/2017 I was watching Justin Bryant YouTube videos mentioned about Neil Patel that he recommended that guy. Immediately I went to Patel website and spend 1 hour listing, then I contacted him to call me . I am lucky because I found this post and I save my money. Hi Jay !, thanks for this review. Do you also have review about quick sprout ? I was about to buy that.. I know this is 2 years later and now I see that quicksprout university is free. As far as NP and his wares are concerned, he uses some ancient tactics such as aggravating splash screens a throwback to the 1990’s and long winded narratives that are right out of a 1950s car salesman handbook (the tactic is to make someone invest a large amount of time and they are less likely to walk from the deal). Who has time to read three reams of blow hard garbage, get to the point man! In a time where you have 3 seconds to sell someone on the fact that your site has the relevant information they need, these tactic are weak-minded. I do business with people who don’t waste my time with unnecessary content filler and pathetically weak-minded strategies. The guy is a total scam – if you ever dare to express an opinion on his blog that is not in line with his narrative he will censor you and ban you from ever posting again – that’s the kind of person this is. Check out the comments on his blog posts – not a SINGLE negative comment – TOTAL PROPAGANDA!